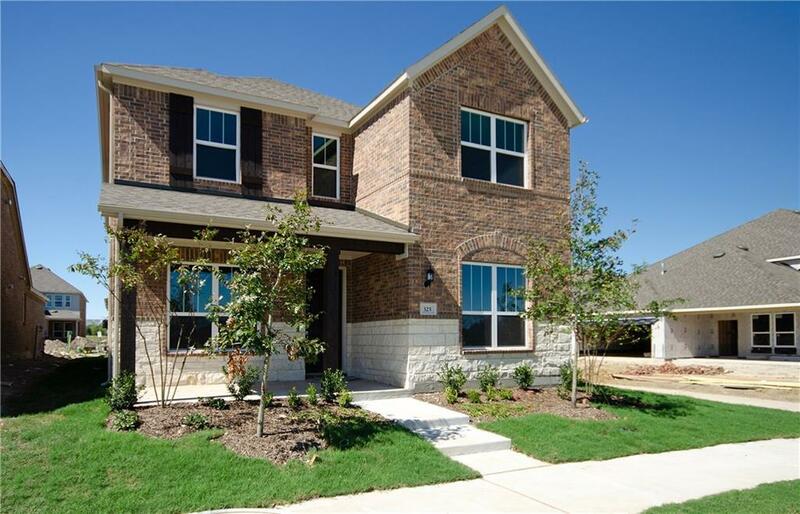 NEW CONSTRUCTION - Gramercy Park in Garland. Two story Courtyard plan with brick and stone exterior - Elevation B. Available now for immediate move-in. 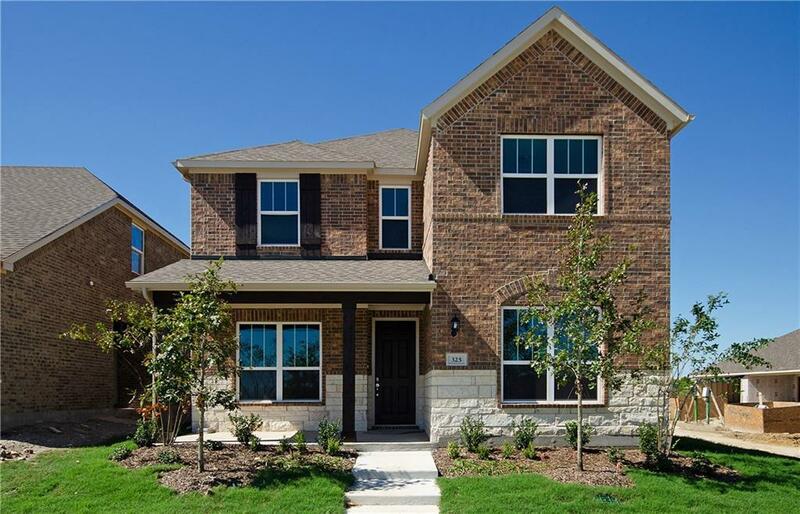 4BR, 3BA + Smart Home + Study + Covered Patio + Front Porch + Wood Flooring + Fireplace - 2450 sq.ft. Open concept layout with built-in stainless steel appliances, Silestone countertops, 42 inch upper cabinetry, and upgraded tile backsplash. Fireplace in gathering room with tile surround. 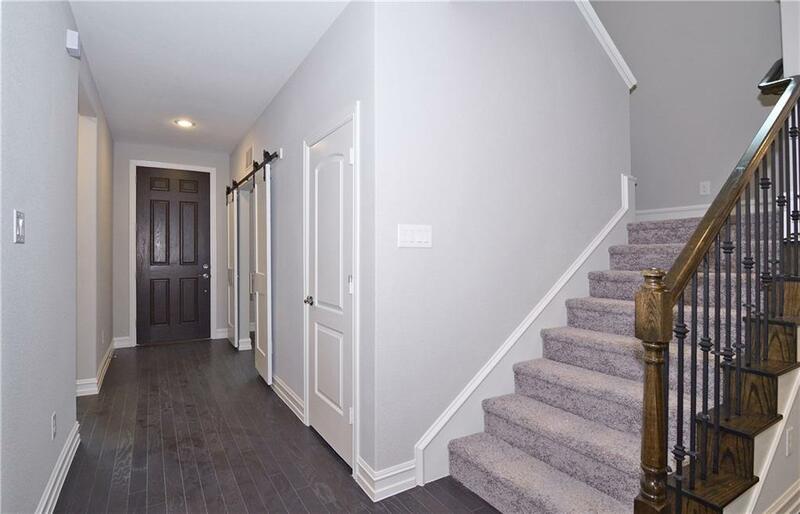 Wood floors throughout main living areas. 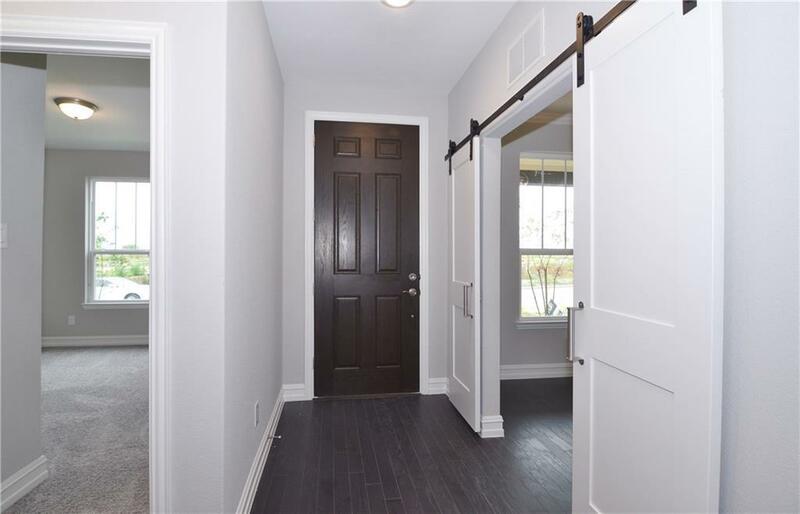 Tray ceiling in Owner's suite and barn door entry at Study.